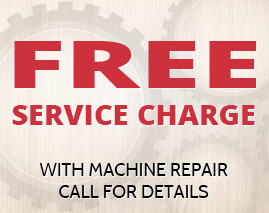 Our Appliance Repairmen Will Solve Your Problem Today! Call now for 24 Hour Emergency Repairs or fill out the repair form and our trained repairmen will get back to you as soon as possible. Area Appliance Service looks forward to fixing your major appliance problem and getting you back to your normal life. With over 53 years of experience in the appliance repair industry, you are in GREAT hands. The Original Area Appliance Service Inc.